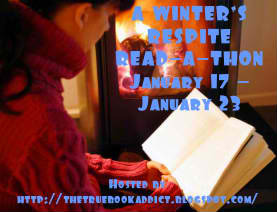 I have our official giveaway for A Winter's Respite Read-A-Thon. 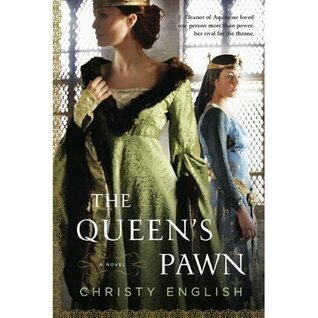 Historical author, Christy English, has generously donated two SIGNED copies of her excellent Eleanor of Aquitaine novel, The Queen's Pawn! And...it's international! All you have to do to be entered is to sign in at the starting line (I will have the sign in linky up on Sunday evening) and participate in the read-a-thon. Now remember, this is a flexible read-a-thon so you don't have to sign in on Monday at 12:00am...you can sign in at whatever point during the week that you start reading for the read-a-thon. Just so I know that everyone participated, I will have a linky for wrap up posts so I can track participation (no matter how much or little time was spent reading). So...have I confused anyone yet? Basically, I'm just saying sign in whenever you start. If you can't start until Wednesday, sign in then and so on and so forth. Then, at the end of the read-a-thon, link up your wrap up post. Easy peasy! I have decided not to do a mini-challenge because I want the focus to be on the reading. I will still be checking in on Twitter though (#readathon). However, if any of you participants want to do a mini-challenge, by all means go ahead. Just be sure to let me know so I can help get the word out. Read my review at this POST. Thanks so much to Christy for being SO generous! Less than 48 hours to go...are you ready to get your read on? !